I understand that psychotherapy is often the first opportunity you might have had to talk to someone who is not part of your family or a friend. I have experience in working with both individuals as well as couples. I offer a gentle way in which you can explore your difficulties face to face with me, and where I can offer you a supportive, non-judgmental safe space to do that. 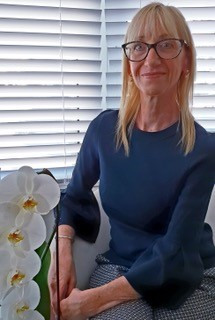 I have helped my clients to explore and understand many diverse issues that are troubling them, such as anxiety, depression, anger, abuse, relationship issues, feeling sad, panic attacks, family disputes, separation and divorce, post-natal depression and grief. My aim as a Psychotherapist is "to help you to understand your own life and hopefully live it in a way that is right for you". I work long term is a psychodynamic way over some months or longer, usually at the same appointment time, weekly. I can also offer short term counselling, for some issues and am happy to discuss the possibility of what might be best for you. Whatever you bring to the counselling room will be respected and explored sensitively, at your own pace. I am also able to offer relationship counselling for couples. This can be helpful if you are experiencing difficulties together, when entering a new relationship, during a marriage breakdown, or if you are considering a divorce. I also have particular interest in working with women who are seeking effective help in exploring issues around raising a family and feelings associated with isolation and lack of self-confidence for stay at home parents or if considering returning to the workplace.